The Bottarga are not only tasty but also healthy and nutritious. Let see how! The unique taste of the fish roe, from which we prepare the delicious and tasty Bottarga dish, is becoming more and more popular in Israel. The Bottarga are kosher, salted and tasty in a different variety of dishes. The Israeli kitchen is open and exposed to many cuisines from around the world, and therefore, there are many dishes and ways and servings with the combination of these fish roe. In addition to the beloved taste of the Bottarga – this is a unique and nutritious type of food, in relation to its small quantity. Usually it is not customary to eat large quantities of fish roe all at once, but its nutritional value is very high. That is of course not surprising considering that we are talking about roe, and we need to remember that roe are a very early incarnation of fish that require a lot of nutrients to grow. So what does the bottarga contain? In principal we are talking about roe from fish in the Mediterranean region (such as the mullet) and the oceans (such as the tuna, which is a modern version of the Bottarga). Fish roe has a high nutritional value in two main areas: vitamins and protein. 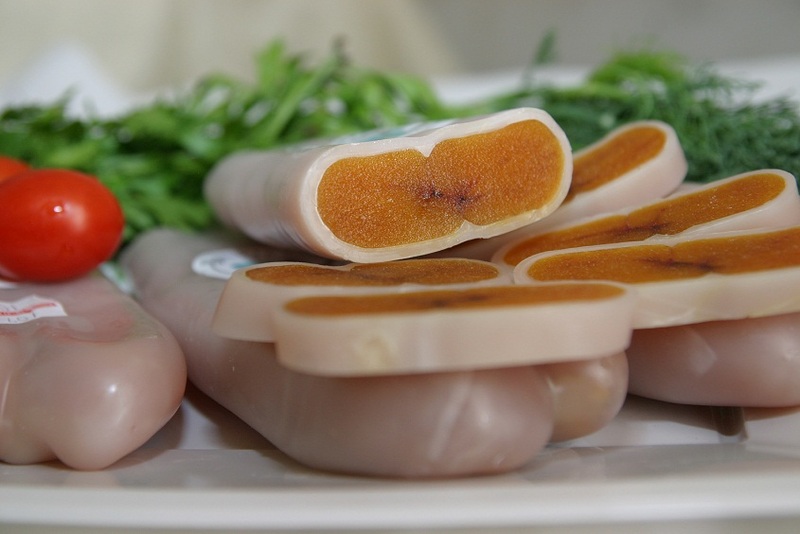 Inside the fish roes from which we prepare Bottarga, you will find a long list of vitamins: Vitamin C, Vitamin B1, Vitamin E, Vitamin E2, Vitamin A, Vitamin K, and other important vitamins that are contained in fish roe in small quantities. Another nutritional advantage with the fish roe is the protein. The advantage of the fish roe is that in a small quantity-you can consume a fair amount of protein. In fact, in the distribution of the caloric value of the fish roes, you can see that the protein represents not less than 57% of the overall value! Beyond that, for every 100 grams of fish roes, you can find more than 22 grams of different protein. Therefore, it is recommended for athletes and people who need protein to consume a certain amount of Bottarga fish roe, in order to strengthen their muscles and develop their body. Appetisers or main course There is greater and greater awareness in regards to nutritional benefits not just from fish roe and Bottarga, but also from other foods. The fact is, that today in order to create a balanced and healthy menu, you need to consume a fair amount of protein to develop the body. Fish roe are an excellent source for that. More than that their taste is delicious, and they are satiating. Fish roe make great appetisers. It is possible to eat fish roe as an addition to a main course, and of course it is recommended to eat fish roe after a long workout. So, bon appetit! Bottarga © 2019. All rights reserved.